Airplane noise complaints growing in Anne Arundel Co.
Anne Arundel County Council members said they have received numerous calls and emails from various neighborhoods that are impacted by noise and low-flying airplanes "for almost 24 hours a day. " WASHINGTON — Lawmakers in Anne Arundel County, Maryland, are joining a growing chorus of complaints over increased airplane noise that came along with new flight patterns established by the Federal Aviation Administration. During a meeting this week, County Council members introduced a resolution that would urge the FAA to make changes and modify its flight paths around BWI Marshall Airport. “Changes in flight paths and elevations has a negative impact on the quality of life for a large number of Anne Arundel County residents,” the resolution states. New flight patterns were put in place under NextGen, a more sophisticated air traffic control system the FAA is using that is satellite-based instead of the traditional radar-based. 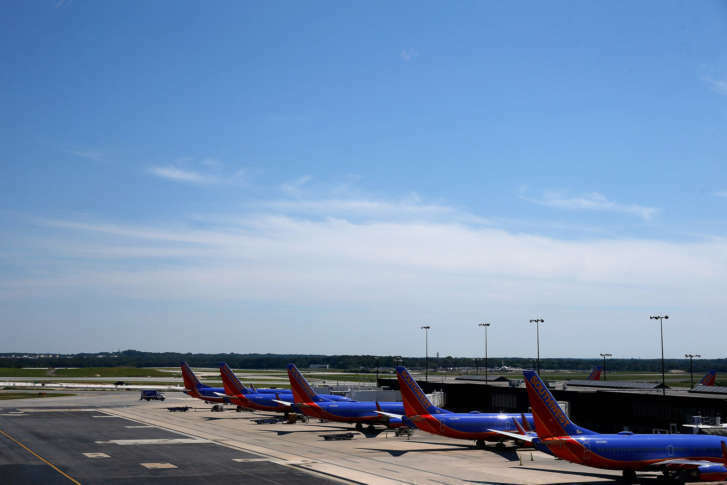 The FAA said the satellite-based technology is more efficient and saves fuel, but residents living around BWI Marshall and other airports nationwide have said the changes make noisy airplanes unbearable. If the resolution passes, council members would formally ask the FAA to revisit the flight patterns and revert to the former paths wherever possible. The council will consider the proposal further during a meeting in September. Gov. Larry Hogan and members of Maryland’s congressional delegation have expressed opposition to the new flight patterns, asking the FAA to consider modifying them. In Howard County, officials are considering taking legal action against the FAA due to increased noise around BWI. Concerns about NextGen-related noise have also been raised from scores of residents in communities surrounding Reagan National Airport, including neighborhoods in Montgomery County, D.C. and Northern Virginia.